A Guide to Sweden for those of a slightly more refined nature. 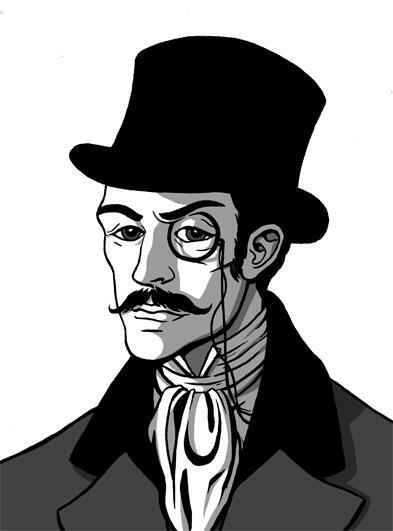 Learn about the culture and history through the Dispatches and Diary of The Dippylomat, Esq….a very British Gent. Your blog is funny n’ makes me laugh 😀 It’s groovy to read another British persons view of Sweden! Kristina, WordPress is telling me you have deleted your blog, is that true? –Love Love Love the Brits. And this Brit love love loves The You for that. Åh, how sweet of you, my dear. Yes, I am just fine and dandy, but trying to blend in to Swedish culture has soaked up a little more time than expected as I struggle with almost fulltime school and plenty of homework. Posted on I’ve been absent for a while, but now I reebmmer why I used to love this site. Thanks , I will try and check back more frequently. How frequently you update your web site? Good sir, your fellow countrymen and ancestors colonised, built, pillaged and plundered my ancestors a long while back.Henceforth, I shall be keeping a keen eye on your work on planning to include the Scandinavian folks in the forthcoming invasion..
PS. I am still wondering how come I did not see the things you’ve seen (while I was in Sweden). Keep the good work coming! Thanking you kindly, young Georgie. Yes, India was a bit of a bloody blip and one we still tend to brush under the rug – which we probably looted; although having said that, it has been put under the spotlight of late by Jeremy Paxman under the auspices of the BBC – not a bad five-part documentary if you can get your hands on it . When and where were you in Sweden, by the by? The summer of ’09 brought me to Swedish stores, I mean shores, as an exchange student at the Karolinska Instituet, Stockholm..
A small dose of Britain-bashing which I found amusing. Hope you may find it amusing too..
By the way, I am downloading the BBC series to watch.. I have read, enjoyed and subscribed! Hello! Nice to hear from you again – I haven’t recieved your posts for some time now – look forward to more Dipplymatic niceties! It has indeed been a long while since my last missive, the teachers at school were beastly captures and have only just set me free – expect something or little or no interest soon! Thanks for a marvelous posting! I seriously enjoyed reading it, you happen to be a great author.I will be sure to bookmark your blog and definitely will come back later on. I want to encourage you to continue your great writing, have a nice day! Thanks for a marvelous posting! I actually enjoyed reading it, you will be a great author.I will make sure to bookmark your blog and may come back later on. I want to encourage you to definitely continue your great work, have a nice day! Thanking you kindly, dearest JazzyBeatChick – I am outing my peace as per instructed!